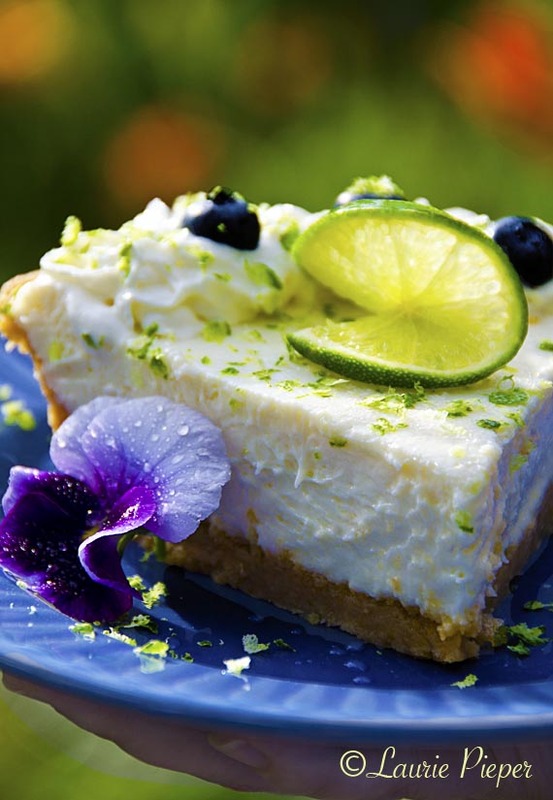 This entry was posted in Baked Good & Sweets, Recipes and tagged dessert, Edible Flowers, Entertaining, Key Lime Pie, Limes, Persian Lime Pie, Persian Limes, Summer Desserts. Bookmark the permalink. I made four of these pies for a wedding last weekend and received lots of compliments on it. The groom isn’t a cake person, so wedding cake, pies and cobblers, and miniatures desserts were all served. Yummy and fun! This looks fantastic! Plus I love the edible flowers!! Thank you, Bebs! I enjoy food photography. I am such a big fane of cheesecake that this is a natural. I now have this on my menu for this week. Thank you, Charlie. I hope that you enjoy the pie!